Previously we’ve covered free AWS Solutions Architect Associate exam questions to help you in your AWS Certified Solutions Architect exam preparation. Now, extending this series, here we bring the FREE AWS Developer Associate exam questions to help you with your AWS Certified Developer Associate exam preparation and make you ready for the exam. 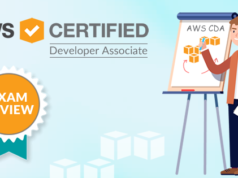 AWS Certified developer associate exam is intended for the candidates at the developer role, having at least one year of working experience in the development and maintenance of the AWS applications. During your preparation for the AWS Certified Developer Associate exam, you may find a number of resources for your exam preparation. So, it becomes important to choose the right preparation guide while you’re preparing for any certification exam. Similarly, it is mandatory to choose the right AWS Developer Associate exam preparation guide that could guide you with a right sequence of preparation steps. Also, that could provide you with good materials for the preparation like books, white papers, documentation, online course, and sample questions. Not to mention, every preparation step has its own importance. You may easily find all the resources and do well with your exam preparation. But the practice is the most important part. 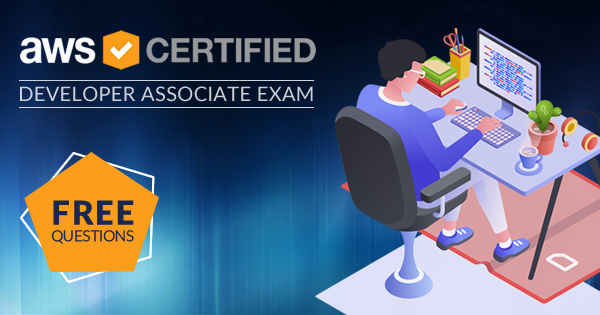 Practicing with AWS Developer Associate exam questions help you check your preparation level and thus make you confident to pass the certification exam. 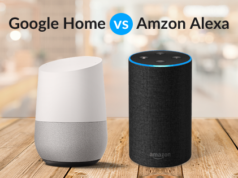 So, our team of subject matter experts and certified professionals has brought some important AWS Developer Associate exam questions for you that are absolutely free. These questions are in the same pattern as that of the actual exam. Also, you will get a complete explanation of the questions with the related AWS documentation. So, what are you thinking? Try these questions now. Explanation: Cross-origin resource sharing (CORS) configuration is a way to interact with resources in a different domain for the client web applications loaded in one domain. With CORS, you can build client-side web applications with Amazon S3 and also allow cross-origin to have access to the S3 resources selectively. 2. Which of the descriptions below best describes what the following bucket policy does? Explanation: The PutObject allows one to put objects in an S3 bucket. 3. Is the default visibility timeout for an SQS queue 1 minute? 4. When a failure occurs during stack creation in Cloudformation, does a rollback occur? Explanation: By default, the “automatic rollback on error” feature is enabled. It causes AWS CloudFormation to be created successfully for a stack until the point of error is deleted. This is useful when the default limit for Elastic IP addresses is exceeded accidentally, or you can’t access an EC2 AMI you want to run. This feature makes you depend on the fact that stacks may either be fully created or not at all. It simplifies the layered solutions system administration built on the top of the AWS CloudFormation. Preparing for an AWS interview? Read these top 50 AWS Interview Questions and Answers and get ready to ace the interview. Explanation: This is clearly mentioned in the AWS documentation. 8. What is the max size of an item that corresponds to a single write capacity unit? (While creating an index or table in Amazon DynamoDB, it is required to specify the capacity requirements for the read and write activity)?. Choose an answer from the options below. Good preparation always brings good results. Follow this comprehensive guide for your AWS Developer Associate Exam Preparation and give your preparation a new edge. 10. Can a global secondary index create at the same time as the table creation? 11. A Global Secondary Index can have a different partition key and sort key from those of its base table. Explanation: GSI can also use the same partition key as the base table. Even in the AWS documentation, they say that GSI can use a different partition key and sort key. However, anywhere in the document, they are not saying that it has to be different. “EmpID” is my base table partition key, which I’m using in both GSI and LSI. The table is created successfully. So now we have seen that we can create GSI with the same partition key as the Base table. Global secondary index — Global secondary index is an index where both the partition key and sort key can be different from that of the base table. The global secondary index is named as global because here the queries can span all the data in the base table over all the partitions. 12. What in AWS can be used to restrict access to SWF? Explanation: Amazon SQS long polling is a method of retrieval of messages from SQS queues. It returns a response only when a message arrives in the message queue instead of short polling where the response returns immediately even when the message is empty. As the messages are available, the retrieval of messages from Amazon SQS becomes inexpensive due to long polling. It may also reduce the cost of using SQS as it can reduce the empty receipts. The below diagram shows the evaluation logic of IAM policies. And as per the evaluation logic, it is clear that the above scenario leads to a default deny. So, here we’ve covered 15 Free AWS Developer Associate exam questions. Definitely, this set of AWS CDA practice questions will prove as an invaluable resource to prepare you for the real certification exam. 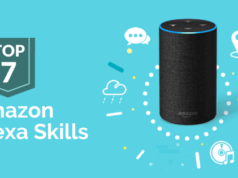 With the aim of helping you pass the AWS Developer Associate exam (DVA-C00) in the first attempt, we’ve prepared this exclusive set of AWS Developer Associate exam questions. Along with this, we provide AWS Developer Associate free test with 25 free practice questions. You can also try our full-length AWS Developer Associate practice tests with 745 practice questions to check your current level of preparation. Trying a number of practice questions makes you confident enough to pass the exam in the first attempt. What are you thinking now? Give your AWS Developer Associate exam preparation a new edge with these AWS CDA practice questions. Need assistance in your AWS Certified Developer Associate exam preparation? Submit your query in Whizlabs Forum and get it resolved by the subject matter experts.